The International 470 Class is delighted to launch the first 470 Training Clinic in partnership with the Open Balkan Sailing Championships being held on the Danube River, Serbia. The clinic, taking place from 31 August-2 September, is specifically aimed at sailors from countries with the Balkan region, where the 470 Class is pleased to support the increasing participation and interest in the class. However, all sailors are welcome to apply. 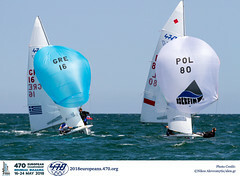 The clinic will be led by Karlo HMELJAK (SLO) a well known and successful 470 sailor and Olympian, who most recently competed in the 470 at the 2008 Olympic Sailing Competition in Qingdao. 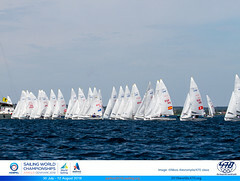 The clinic will focus on coaching expertise to support the sailors’ racing programme. The clinic is totally free and will take place immediately before the Open Balkan Sailing Championships and at the same venue, Donji Milanovac. 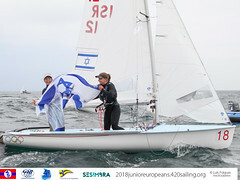 This clinic continues the commitment of the International 470 Class Association to supporting and developing sailors, both at a junior and senior level. The previous clinic run by Andreas KOSMATOPOULOS (GRE) at the 2009 470 Junior Worlds in Thessaloniki, Greece was a great success and attracted many participants. All countries are invited to apply to participate in the clinic. CLICK HERE for more information.